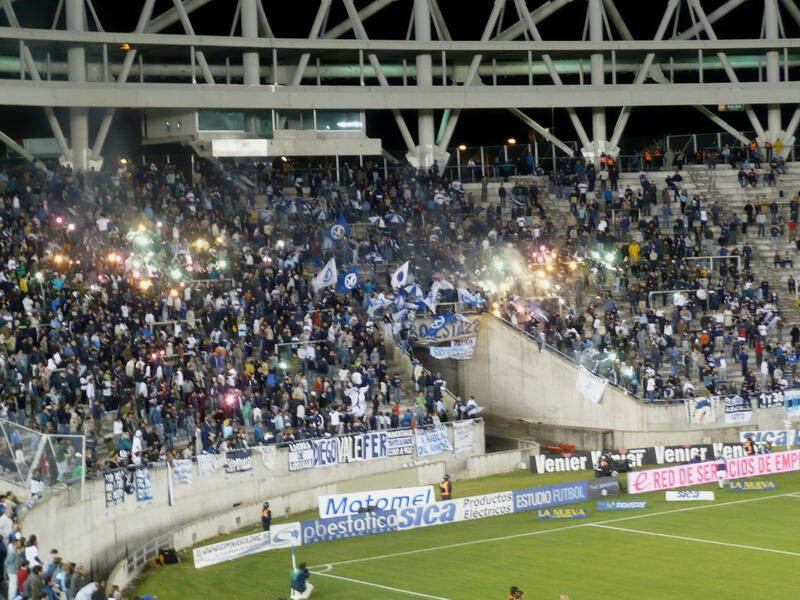 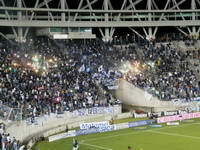 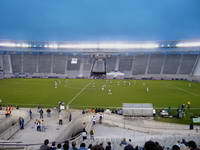 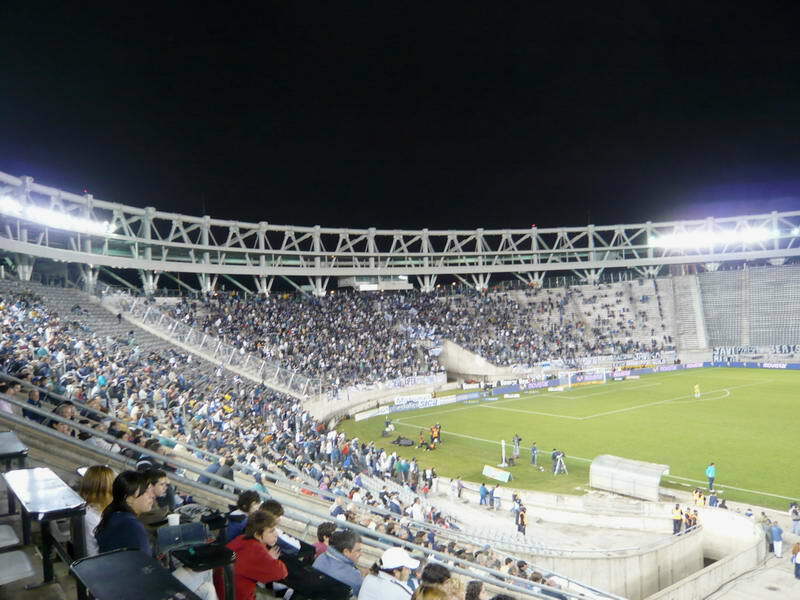 Owned by the provincial government, the stadium is officially named „La Plata Municipal Stadium”, but is most commonly known as Estadio Único (Unique Stadium). 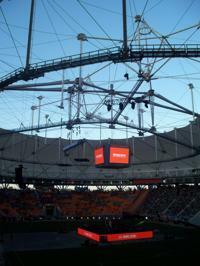 Indeed, already during planning key features were thought differently than in any other venue, starting with stands shaped like two conjoined circles instead of elliptical or rectangular shape. 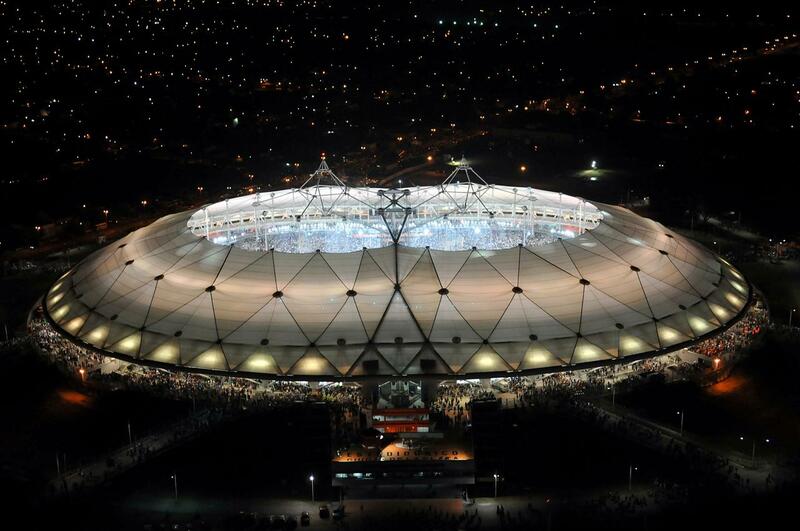 Same shape was planned for the roof with a double dome topping the stands. 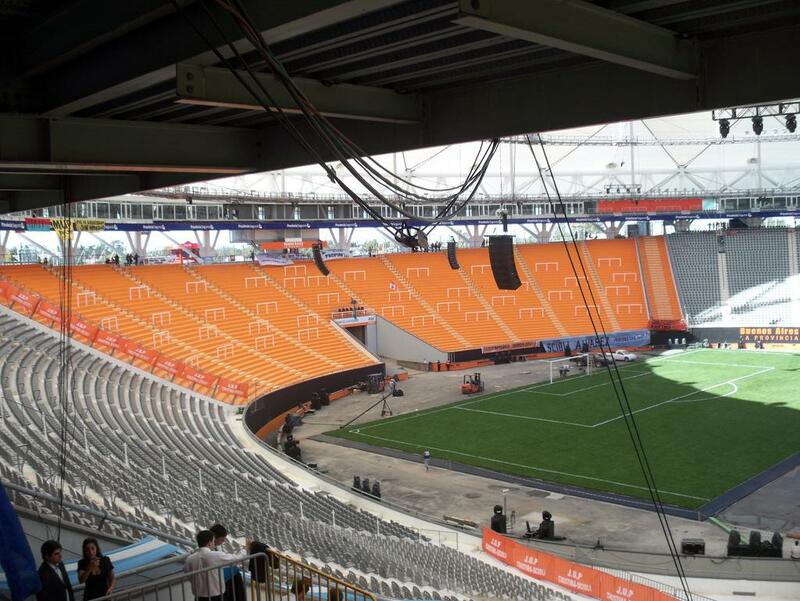 But this part of the plan wasn’t done until 14 years after works on the stadium commenced. 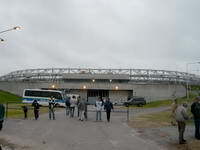 Since construction beginning in 1997 works have been brought to a stop in 2000 and later in 2003, when partially finished stadium was opened to the public. 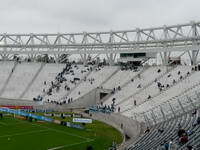 Works on the roof were restarted in 2010 and ended with the stands being covered with membrane in 2011. 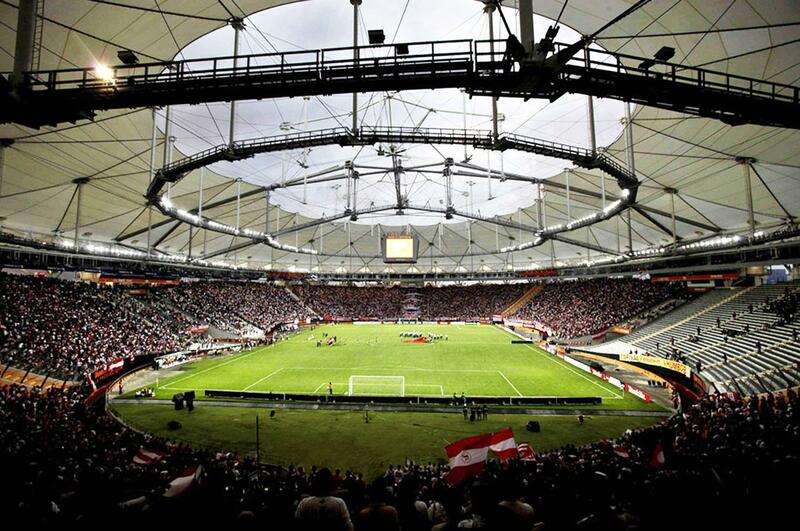 If need be, membrane can also be installed over the pitch on existing roof structure. 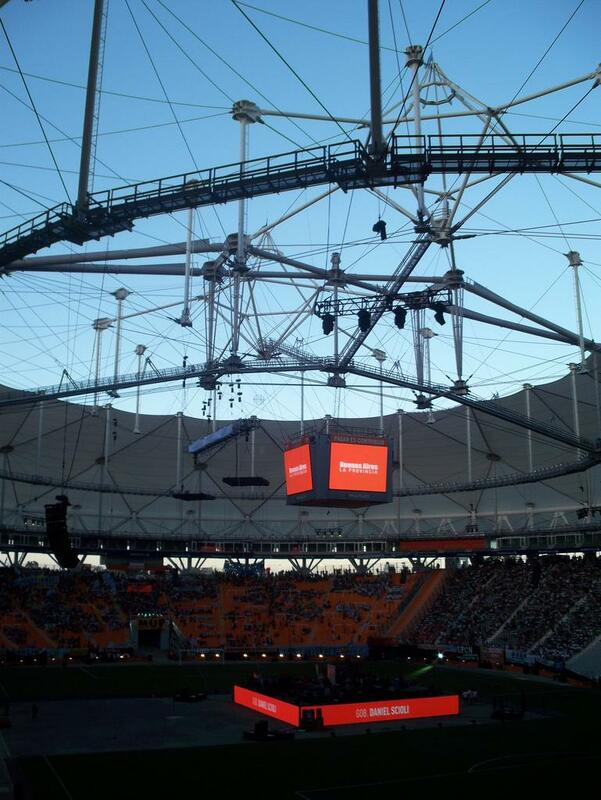 This unique solution brought praise to architects both domestically and internationally. 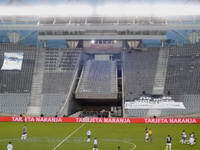 The pitch is also a rare one, being constructed with small modules that can be detached like puzzles and transported to another location. 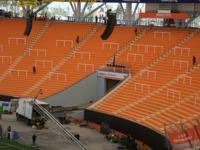 This feature proves helpful with non-sporting events like concerts, which the stadium hosts frequently. 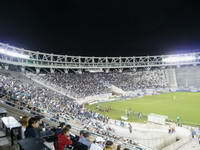 Primary use is still football, though, with two La Plata’s largest clubs being tenants. 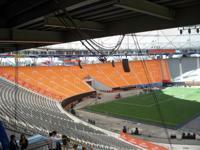 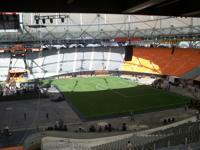 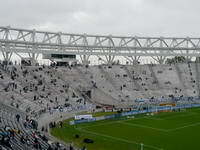 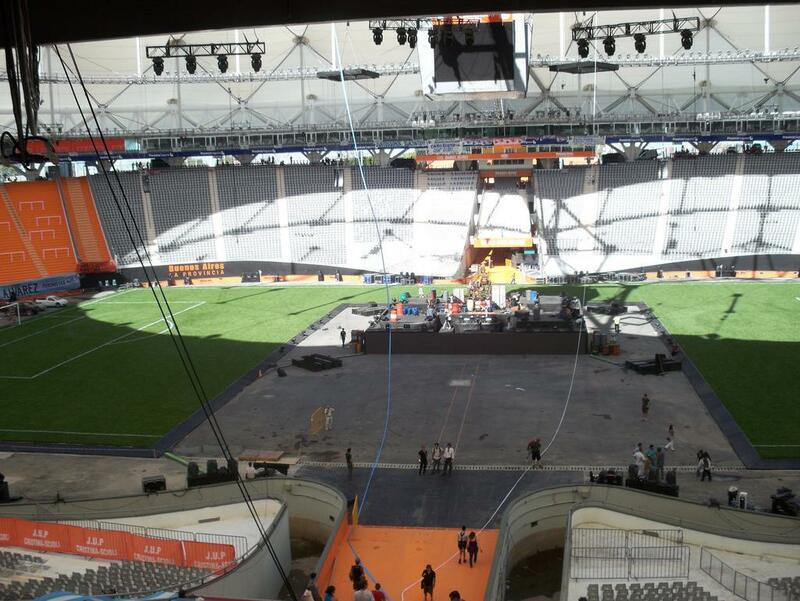 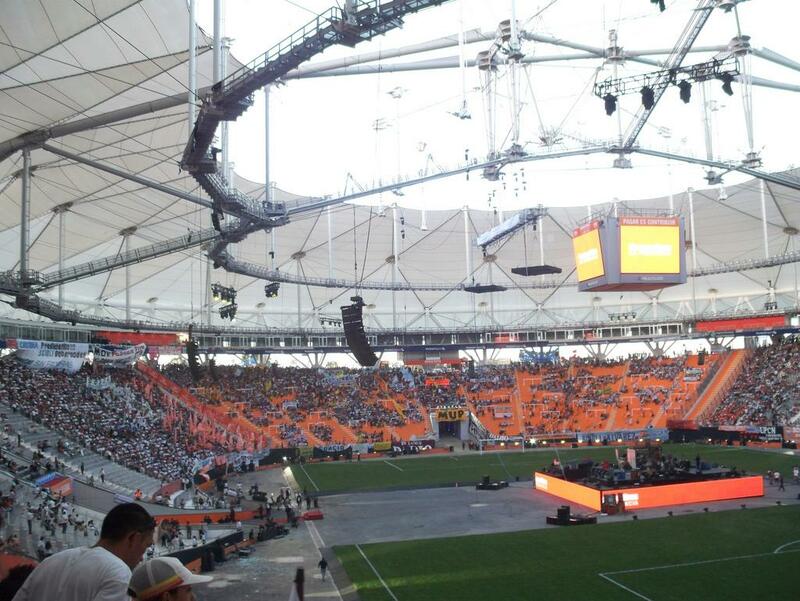 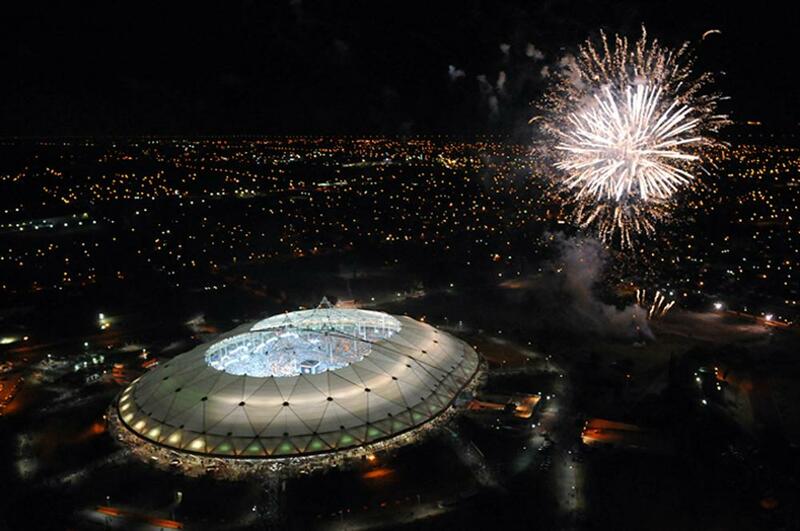 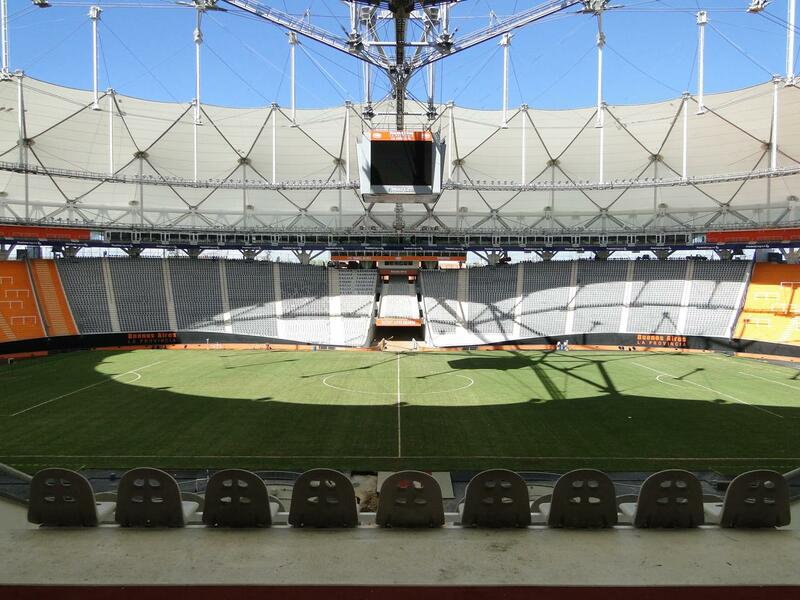 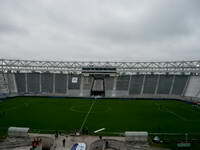 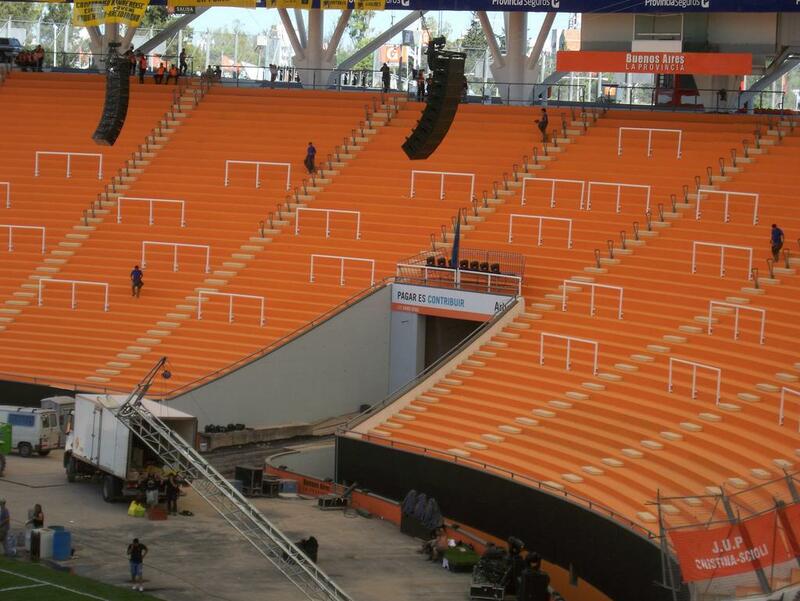 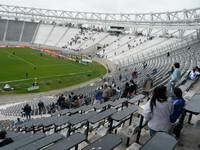 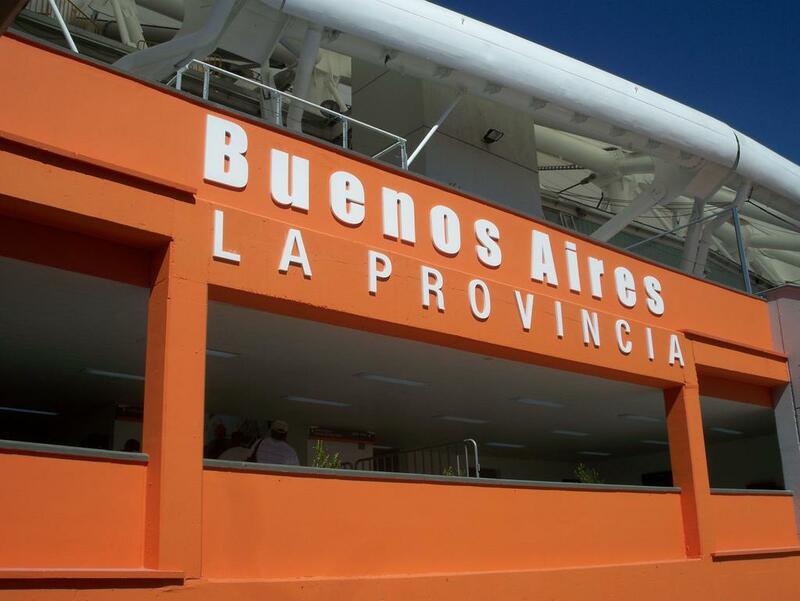 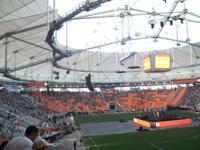 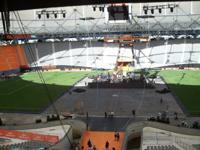 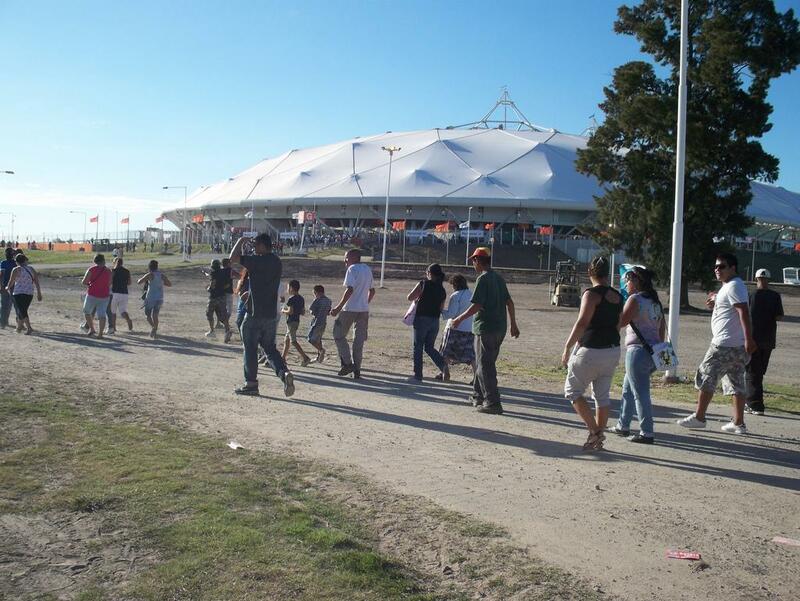 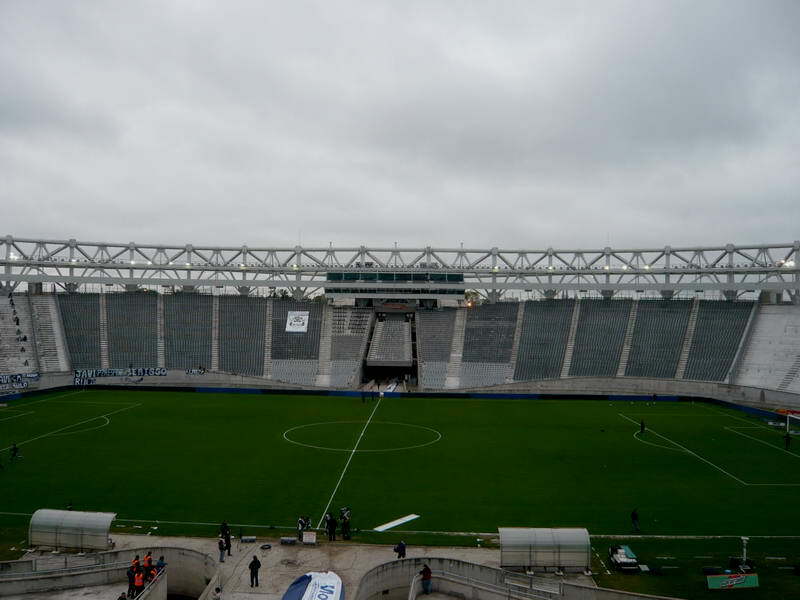 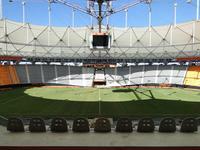 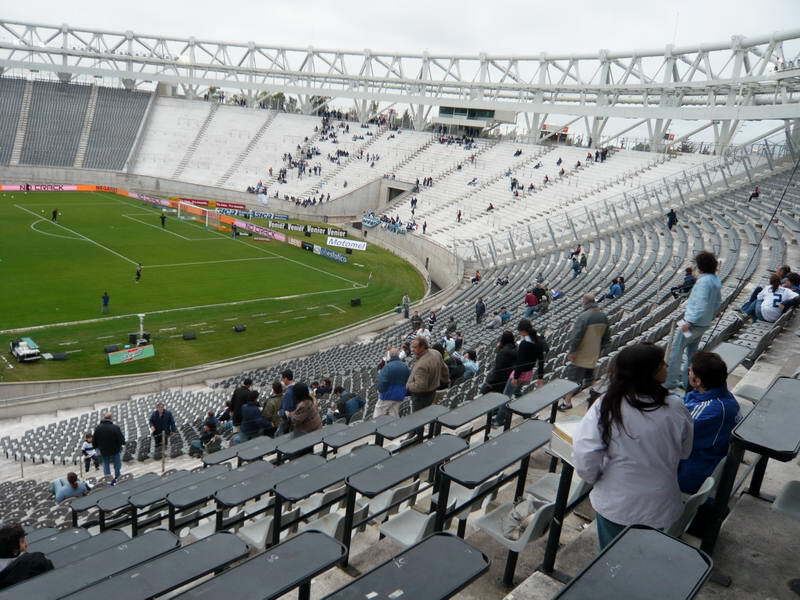 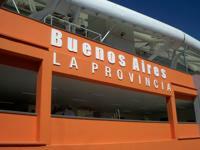 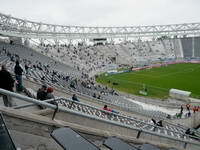 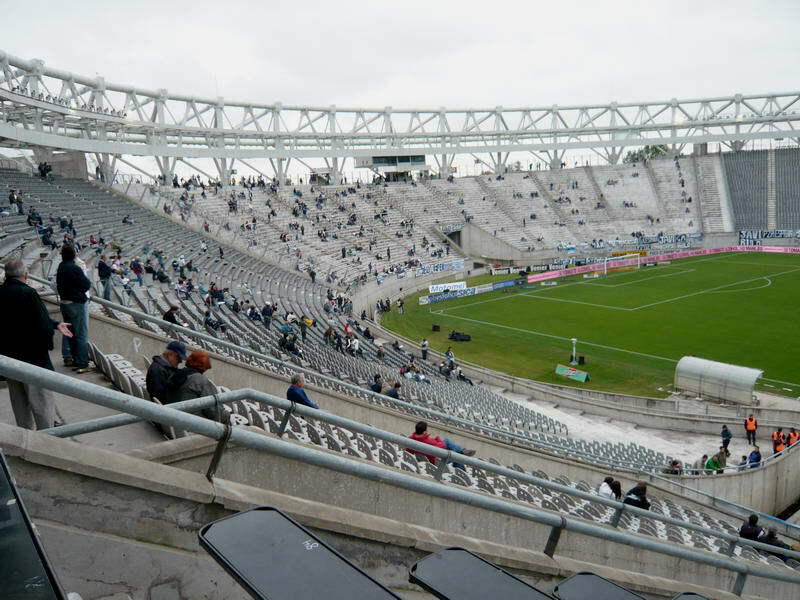 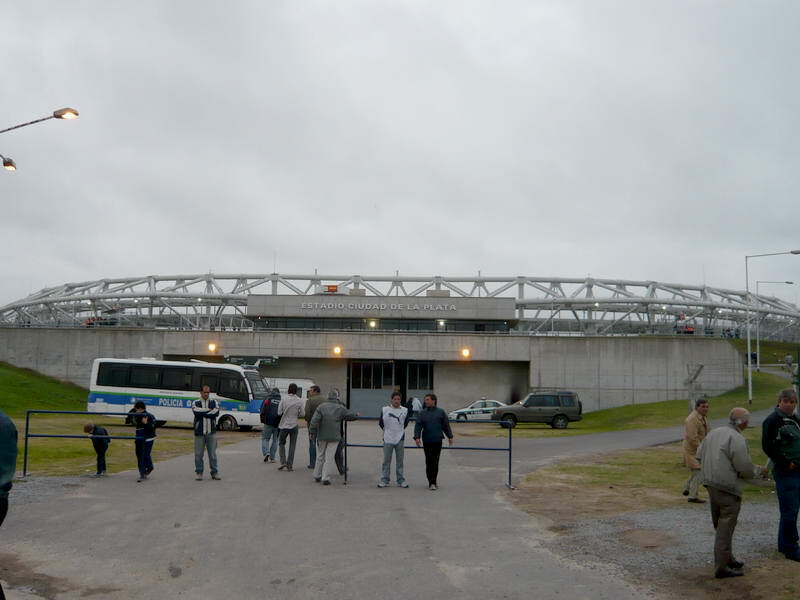 Argentina also staged some games here and the stadium was among the most important venues of Copa America 2011. 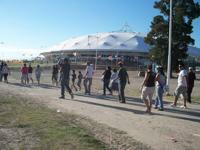 January and February are both busy in La Plata, along avenues 1 and 57. 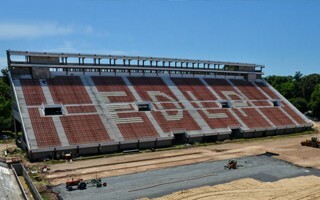 Almost all masonry is delivered, waterproofing ongoing and in less than two weeks the green grass will arrive. 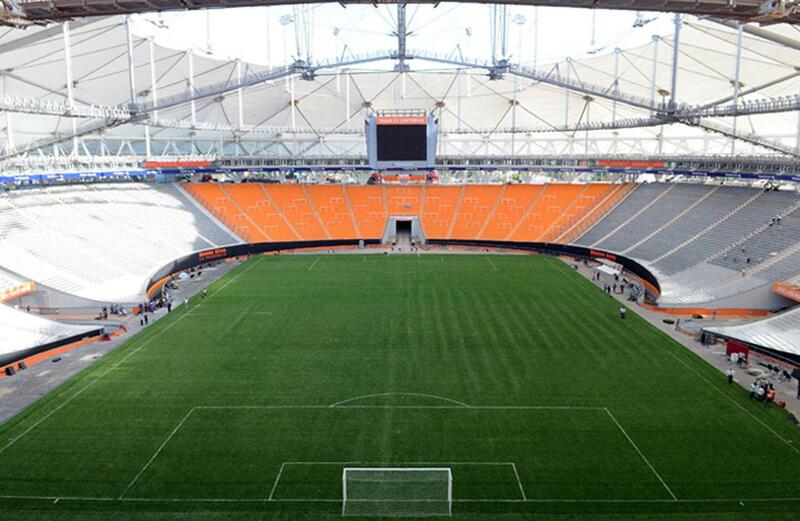 Some of our readers suggested it looks like two squeezed… breasts. 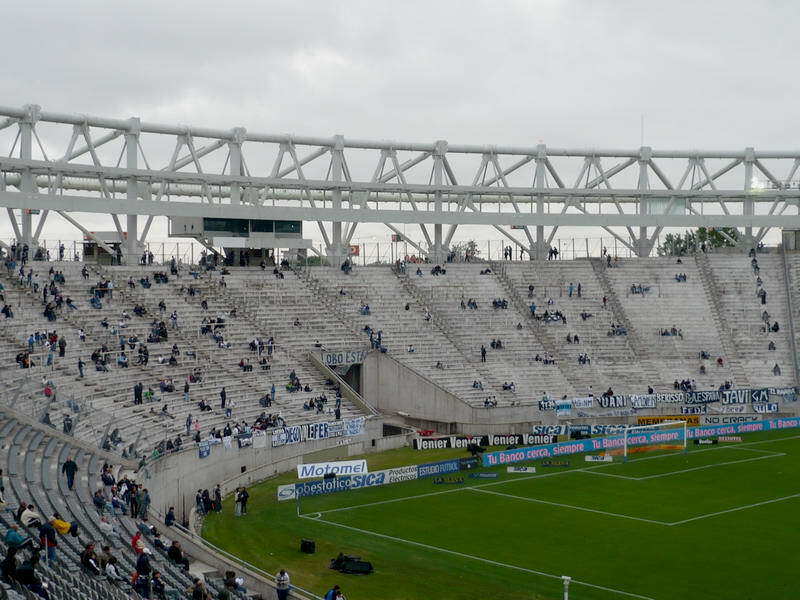 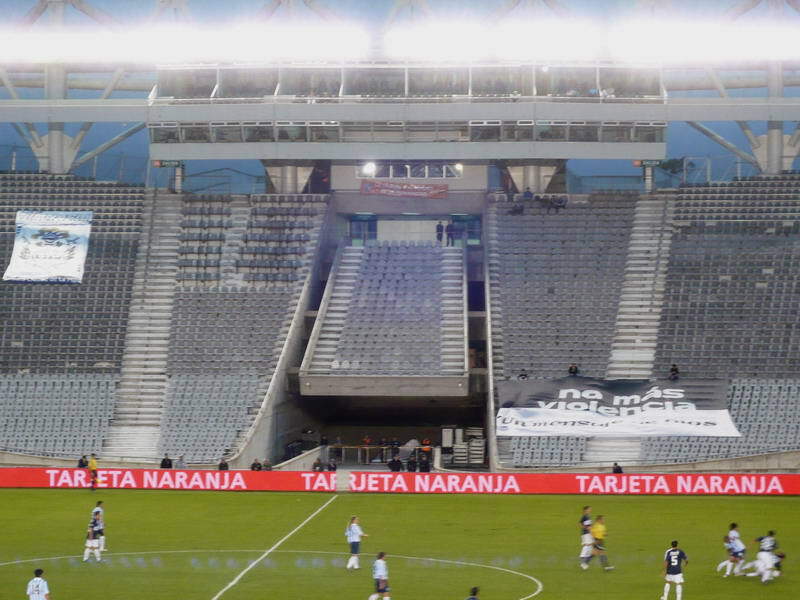 Well, we don’t know whether specialists saw the same, but Estadio Ciudad de La Plata has just received “2012 Outstanding Structure Award”.